The HHP Dolphin 7900 Mobile Computer packs all the performance and durability of the Dolphin 9500 and Dolphin 9550 in a PDA-like, easy-to-use design. 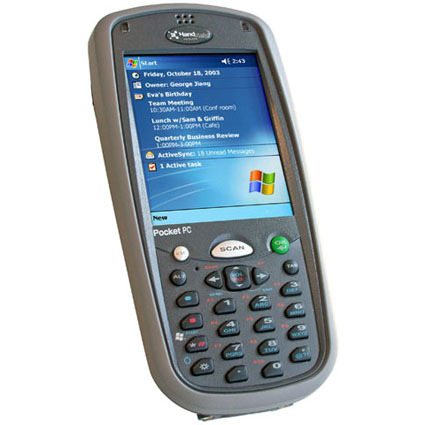 The Dolphin 7900 is ideal for change management, customer service, computer-aided ordering, store transfers, voice communications, portable point-of-sale, product information lookup, and dozens of other mobile applications. Dimensions (W x D x H): 3.5" x 7.3" x 1.7"
Decode Range: 2.1" ti 12.5"